It is generally believed that Thomas Mitchell, of Cambridge and Leiden, is the father of both Experience and Constant Mitchell. Experience and Constant had a brother Thomas who remained in Amersterdam when they immigrated to New England. It is through this connection with their brother Thomas that Experience and Constant are believed to be the children of Thomas and Maria (Tromdin) Mitchell of Leiden. It seems unlikely that Experience would be the son of Thomas's second wife Margaret Williams since they weren't married until 1606. 6 The American Genealogist, New Haven, Connecticut: D. L. Jacobus (issues newer than 5 years not online), 1980, Vol. 56, pp. 97-98, New England Historic Genealogical Society (Online Database). 7 Brenneman, Richard E., "Notable Kin - New England in Hollywood, Part Three: The Possible Rhode Island Ancestry of Marilyn Monroe", www.americanancestors.org/notable-kin-the-possible-rhode-island-ancestry-of-marilyn-monroe, (accessed 10/09/2014), New England Historic Genealogical Society (Online Database). 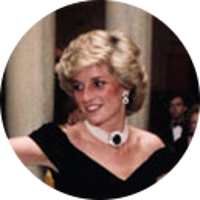 8 Evans, Richard K., The Ancestry of Diana, Princess of Wales , Boston: New England Historic Genealogical Society (2007), 330. 9 Roberts, Gary Boyd, Notable Kin, Volume 1 , Santa Clarita, California: Carl Boyer, 3rd (1998), 20, 22-23, 174, 182. 10 Wood, Ralph V., Jr., Mayflower Families Through Five Generations: Vol. 12, Francis Cooke, Revised Edition, Rockland, Maine: Picton Press (1999), 36.